A Solar CBD is a reality. Businesses in Melbourne’s CBD could meet more than 12 per cent of their own electricity needs – and cut their collective power costs by more than $100 million – just by tapping the city’s true rooftop solar potential, a new study has found. 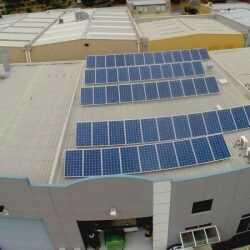 The research – published by the Australian Photovoltaic Institute (APVI) in conjunction with the University of NSW – has found that there is enough suitable rooftop space in the Melbourne local government area to install a total of 461MW of PV. “We took into account local weather conditions, tilt of the roof, orientation and shading from nearby buildings and vegetation,” Dr Egan said this week. 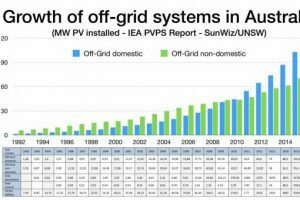 The point of all this is to demonstrate the huge potential for distributed solar generation that exists in Australia’s major commercial centres – a market Australia’s rooftop solar boom has so far bypassed. Currently there is only around 5MW of rooftop solar PV installed on Melbourne CBD buildings – around one-hundredth of the potential the mapping tool has uncovered. 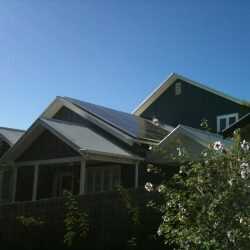 If that solar potential was mined, the report estimates that around 38 per cent of the City’s total roof space could be fitted with close to 2 million solar panels, that could generate 548GWh a year – enough to power 112,000 average Victorian homes. And a whole lot of money could be saved by city-based businesses. “Electricity prices are set to rise with the wholesale futures prices skyrocketing, so the benefits to your hip pocket of generating your own power are increasingly obvious,” Egan says. One business that is keenly aware of this, and which has also experienced the benefits of self generation first-hand, is NextDC. 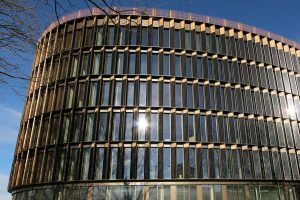 The APVI-UNSW report was launched on Tuesday morning from the company’s Port Melbourne HQ, where a 400kW rooftop solar array was installed in December 2013. Much has changed since then, and commercial systems around this size are a dime a dozen. But not in the city. NextDC – which is also a member of the Melbourne Renewable Energy Project consortium, that is contracted to buy one-third of the output of the 80MW Crowlands wind farm now under construction near Ararat – hopes to help change that. “The entire economy relies heavily on electrical energy, which needs to be produced sustainably,” said NextDC COO Simon Cooper. Indeed, a deal sealed just this month by global computing giant, Microsoft, has helped to indicate what is possible in high density cities. The US-based company signed an agreement with Sunseap Group to create the single-largest solar energy portfolio in Singapore to date, installing 60MW on hundreds of rooftops across the nation. The deal is the largest rooftop solar project in Singapore and the first rooftop solar portfolio in the country focused on serving data-center energy consumption. 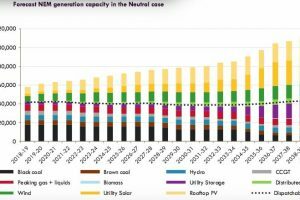 So where could some of Melbourne’s 461MW of rooftop solar potential be realised? 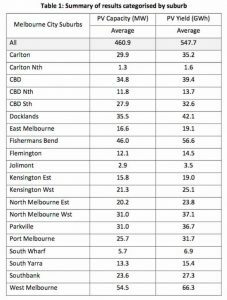 The table below, and the map at the top of the article show some of the city’s potential solar hot-spots, including the inner Melbourne suburbs of Fisherman’s Bend, Carlton, Port Melbourne and, of course, the CBD. As well as factoring in suitable building rooftops, the study has modelled how some of Melbourne’s landmark buildings – including the MCG and Flinders Street Station – could go solar. 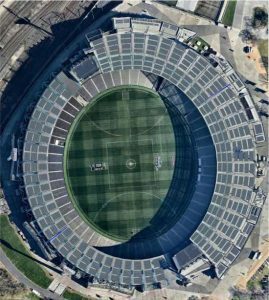 It found that a solar MCG could generate 2,436MWh/year, enough to power 497 homes and save 1937 tonnes of CO2 emissions. Flinders Street Station (pictured above as it would look with solar) could generate 1,054 MWh/year, enough to power 215 homes. “We hope this information will allow property owners, policymakers and planners to recognise the financial benefits of installing solar as well as the potential emission reductions,” Dr Egan said. To navigate the Solar Potential Map users can zoom in and isolate a particular property and the available solar energy, annual AC output, annual dollar saving and CO2 offset are all instantly calculated. Check it out here.